A linear prism is attached to a stainless steel pylon. As light filters through the glass portion, moving rainbows are cast around the sculpture. 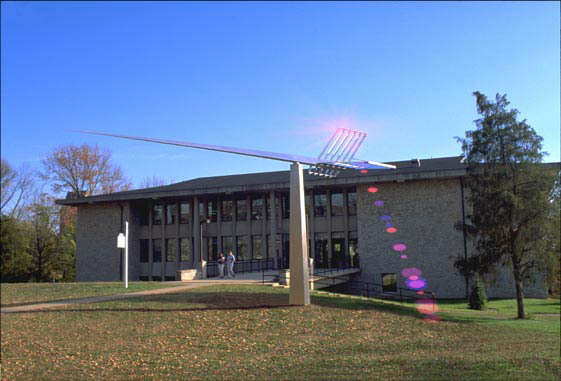 : “Miami Aurora,” Ohio Outdoor Sculpture Inventory, accessed April 22, 2019, http://oosi.sculpturecenter.org/items/show/1008.